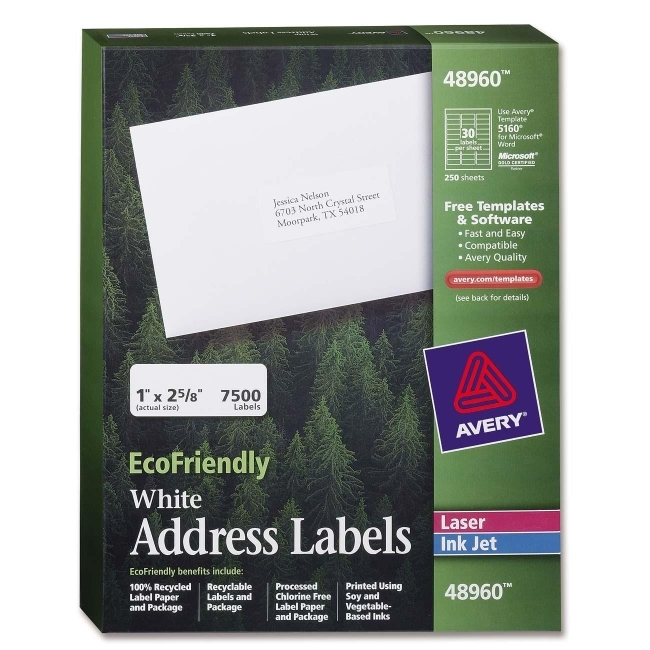 Mailing labels offer eco-friendly labeling. 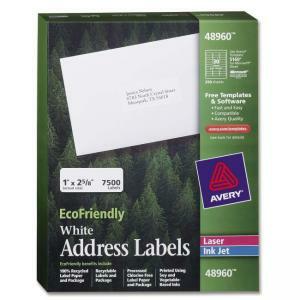 The label paper and package are made of 100 percent recycled material and are processed chlorine-free, which cuts down the amount of harmful substances associated with the manufacturing process. The labels and box are printed on soy-based and vegetable-based inks that come from renewable materials, rather than solvent-based inks. When you're done, the labels and box are also recyclable. Avery offers many free, easy-to-use design and print solutions for labels. Labels are compatible with laser and inkjet printers.